Shows the others how it should be done. Instead of a fiddly touchscreen, the A3 has a rotary dial interface between the front seats; you simply twist to scroll through the menus and press down to make a selection. The fact that the display (which lowers itself into the dash when it isn’t required) is positioned so high up means you don’t even need to divert your eyes far from the road to see it. 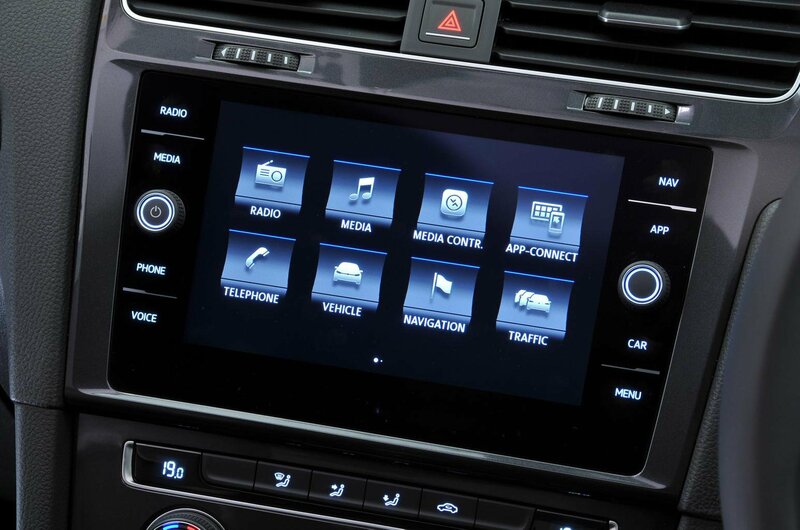 The Civic has one of the worst infotainment systems in any modern hatch – all the more frustrating when you consider how good the rest of the car is. The screen is disappointingly low-res, and the fact that it’s angled up towards the sky means it badly reflects sunlight. The menus are hopelessly complicated, the screen is often slow to respond and even tweaking the volume is immensely frustrating. 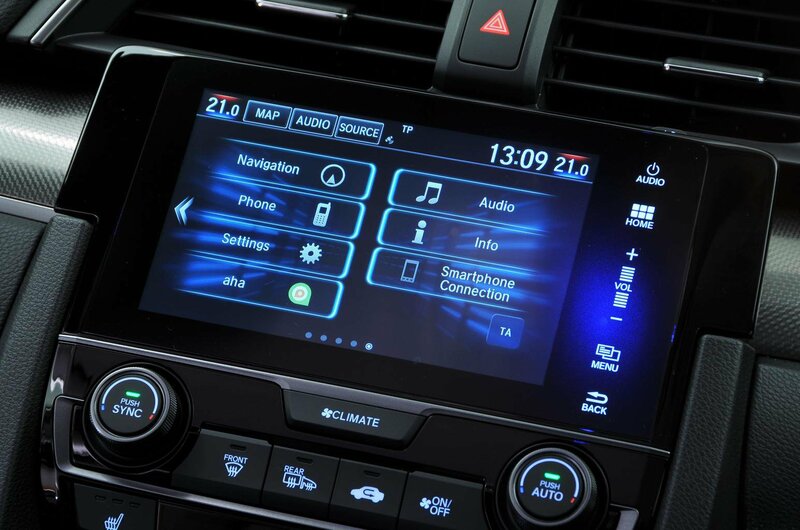 A bright, quick-responding 8.0in touchscreen comes as standard with SE Navigation trim. We do wish it was positioned a bit higher up on the dashboard but, as touchscreens go, it’s an easy one to operate. 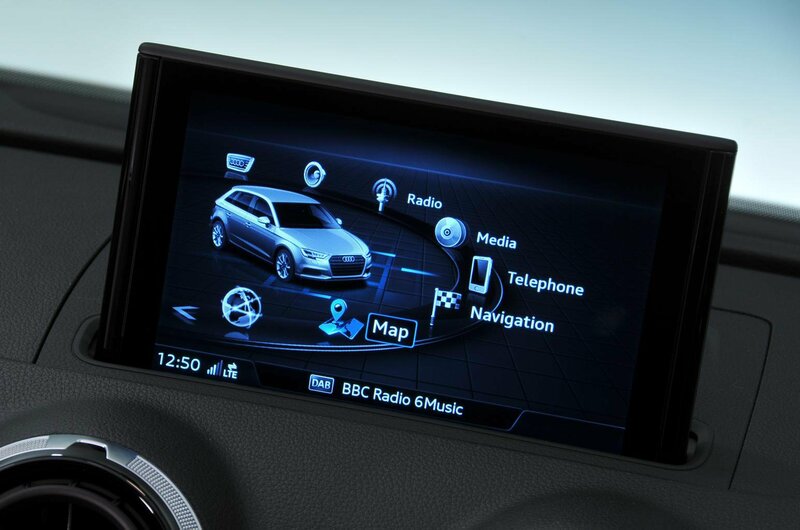 As with all of these cars, sat-nav, a DAB radio, and smartphone mirroring software Apple CarPlay and Android Auto come as standard. We wouldn’t bother upgrading to the £1325 Discover Pro system.